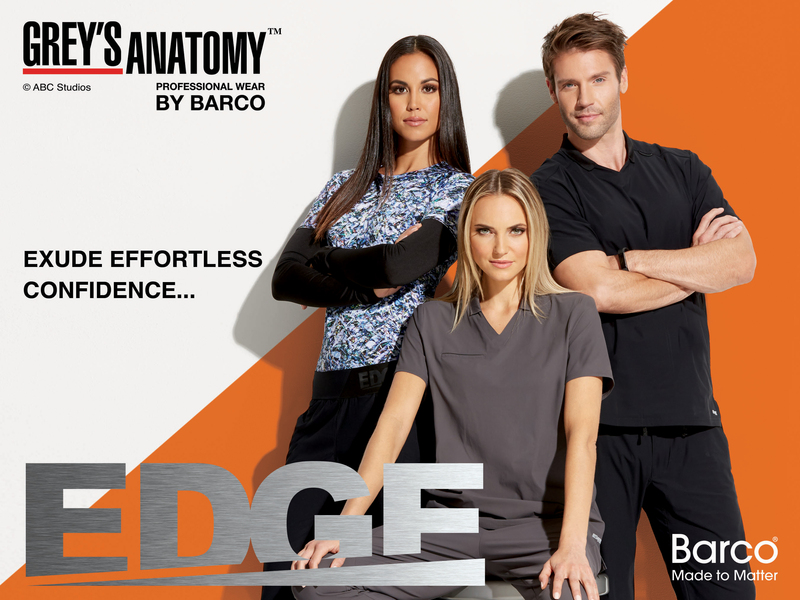 LOS ANGELES (April 3, 2019) – Barco® Uniforms, a recognized leader of design innovation in the premium healthcare apparel industry, today announced the launch of Grey’s Anatomy™ EDGE, an extension of the globally popular Grey’s Anatomy scrub collection. 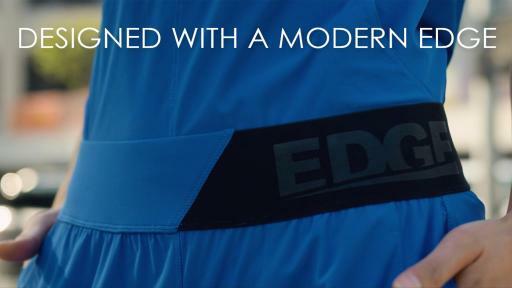 EDGE features Barco’s proprietary, patented ‘super fabric,’ Nylex™, in a collection consisting of seven pieces designed to meet the unique needs of healthcare professionals, all the while exuding effortless confidence and modern style. 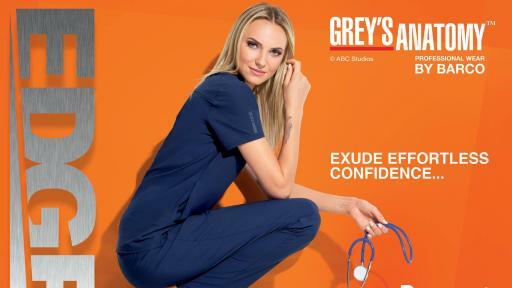 Re-imagine Healthcare apparel, like none other...modern, effortless confidence with an EDGE; curated from NYLEX™ - the fabric that moves as you do. Balances modern work-to-life style effortlessly with confidence and extreme comfort. Founded in 1929, Barco® Uniforms is a leader of design innovation in the premium professional apparel industry, designing award-winning premium uniforms that elevate and honor the individual in the healthcare, food service and hospitality industries. Barco Uniforms is headquartered in Los Angeles with approximately 250+ local employees across multiple disciplines including design, product development, marketing, sales, supply chain, and distribution. For more information, visit www.barcouniforms.com or https://www.linkedin.com/company/barco-uniforms-inc. You can follow the company at www.instagram.com/barco.uniforms/, www.facebook.com/barcouniforms/, https://twitter.com/BarcoUniforms and www.pinterest.com/barcouniforms/. For more information on Barco Uniforms or Barco’s Nightingales Foundation visit: www.barcouniforms.com. You can follow the company at www.instagram.com/barco.uniforms/, www.facebook.com/barcouniforms/, https://twitter.com/BarcoUniforms and www.pinterest.com/barcouniforms/.